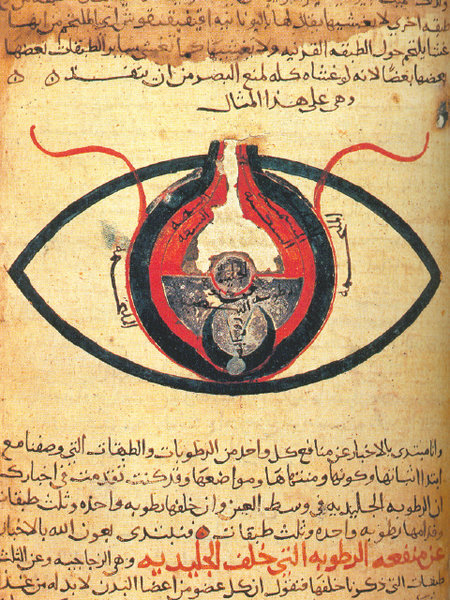 The eye according to Hunayn ibn Ishaq. From a manuscript dated circa 1200. Includes 400 doctoral theses focusing on the Middle East, Islamic studies and related subjects which can now be downloaded for free by scholars worldwide. Users must register. Brockelmann's Geschichte der arabischen Litteratur offers bio-bibliographic information about works written in Arabic and their authors, with an emphasis on the classical period. The multi-volume reference work is divided in chronologically organized sections, which are subdivided by literary genre. Individual entries typically consist of a biographical section and a list of the author's works in manuscript and print, with references to secondary literature. The Encyclopædia Iranica is dedicated to the study of Iranian civilization in the Middle East, the Caucasus, Central Asia and the Indian Subcontinent. The academic reference work will eventually cover all aspects of Iranian history and culture as well as all Iranian languages and literatures, facilitating the whole range of Iranian studies research from archeology to political sciences. The Encyclopaedia of Islam sets out the present state of our knowledge of the Islamic World from religion and history to politics and culture. It includes articles on distinguished Muslims of every age and land, on tribes and dynasties, on the crafts and sciences, on political and religious institutions, on the geography, ethnography, flora and fauna of the various countries and on the history, topography and monuments of the major towns and cities. Its geographical and historical scope encompasses the old Arabo-Islamic empire, the Islamic countries of Iran, Central Asia, the Indian sub-continent and Indonesia, the Ottoman Empire and all modern Islamic states. The entire text of volumes I to XI and Supplement (Volume XII) of the printed edition of the Encyclopaedia of Islam is included. "Encyclopaedia Islamica Online is based on the abridged and edited translation of the Persian Dāʾirat al-Maʿārif-i Buzurg-i Islāmī, one of the most comprehensive sources on Islam and the Muslim world. A unique feature of the encyclopaedia Islamica Online lies in the attention given to Shiʿi Islam and its rich and diverse heritage." This encyclopedia is an interdisciplinary, trans-historical, and global project embracing women and Islamic cultures in every region where there have been significant Muslim populations. It aims to cover every topic for which there is significant research, examining these regions from the period just before the rise of Islam to the present. 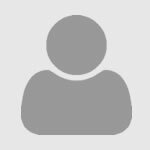 This site contains hundreds of full-length books and articles on Islamic philosophy, ranging from the classical texts in the canon of Islamic philosophy to modern works of Muslim philosophy. Alcove 3 of the Main Library Reference area contains dictionaries and encyclopedias on Islamic culture and the Middle East. The Encyclopedia of the Modern Middle East and North Africa, 4 vols., DS43 .E53 2004 is not current on political history, but remains useful for historical and contextual information. Books in the same range, DS35.53 to DS173 .A33 may provide additional or more specific information depending on the topic. The field of Islamic Studies is both wide-reaching and dynamic. It includes the range of foundational documents, traditions, institutions, and history of Muslims in various countries and regions throughout the world from the origins of Islam to the present day. This interdisciplinary field therefore includes history, religion, philosophy, anthropology, Arabic language and literature, as well as literatures in other languages including Persian, Turkish, and Urdu, and remains responsive to new discoveries, interpretations, ideologies and theories. Combining the best features of an annotated bibliography and a high-level encyclopedia, Oxford Bibliographies in Islamic Studies guides researchers to the best available scholarship across a wide variety of subjects. Index Islamicus™, produced by Brill Academic Publishers, is an international bibliography of publications in European languages on all aspects of Islam and the Muslim world. It covers history, beliefs, societies, cultures, languages and literatures. It includes material published by Western orientalists, social scientists and Muslims writing in European languages. The file contains indexing for over 3,400 titles with coverage dating back to 1906. Encompassing over 5,000 A-Z reference entries, chapters from scholarly and introductory works, Qur'anic materials, primary sources, images, maps, and timelines. Features reference content and commentary by renowned scholars in areas such as global Islamic history, concepts, people, practices, politics, and culture, and is regularly updated as new content is commissioned and approved. Includes Oxford Encyclopedia of the Islamic World. This unique historical reference compendium allows instant access to the renowned texts of the Cambridge Histories series. With access to the most up to date and authoritative scholarly content, Cambridge Histories Online is an invaluable resource, for undergraduates, graduates, lecturers and researchers alike.All the available volumes are grouped into topics, making it quick and easy to search and browse through an array of historical subject areas. The extensive bibliographic referencing and other leading functionality, enhances usability and makes this resource ideal for any type of historical research. Oxford Dictionaries | Arabic is a groundbreaking resource for those with an interest in the Arabic language. Compiled by an international team of expert advisers, the dictionary is based on language as it’s used today. Using Modern Standard Arabic, there are 70,000 real-life example sentences and 330,000 words, phrases and translations in the world’s most current comprehensive dictionary, the first new unabridged dictionary published in 25 years. Comprehensively covers all aspects of Arabic languages and linguistics. It is interdisciplinary in scope and represents different schools and approaches to be as objective and versatile as possible. The Encyclopedia of Hebrew Language and Linguistics Online offers a systematic and comprehensive treatment of all aspects of the history and study of the Hebrew language from its earliest attested form to the present day. With over 850 entries and approximately 400 contributing scholars, it is the authoritative reference work for students and researchers in the fields of Hebrew linguistics, general linguistics, Biblical studies, Hebrew and Jewish literature, and related fields. The Encyclopaedia of the Qur’ān Online is an encyclopaedic dictionary of qur’ānic terms, concepts, personalities, place names, cultural history and exegesis extended with essays on the most important themes and subjects within qur’ānic studies. The EJIW is the first cohesive and discreet reference work which covers the Jews of Muslim lands particularly in the late medieval, early modern and modern periods. Index to Jewish Periodicals is the definitive index on Jewish history, activity and thought. This database provides a comprehensive guide to English-language articles, book reviews, and feature stories in more than 220 journals devoted to Jewish affairs. Index to Jewish Periodicals is intended for students of Jewish thought and others interested in contemporary Jewish and Middle Eastern affairs. Journal coverage dates back as far as 1988. A selective bibliography of articles in the various fields of Jewish studies and in the study of Eretz Israel. Material listed in Rambi is compiled from thousands of periodicals and from collections of articles - in Hebrew, Yiddish, and European languages- mainly from the holdings of the Jewish National and University Library, a world center for research on the Jewish people and Eretz Israel.